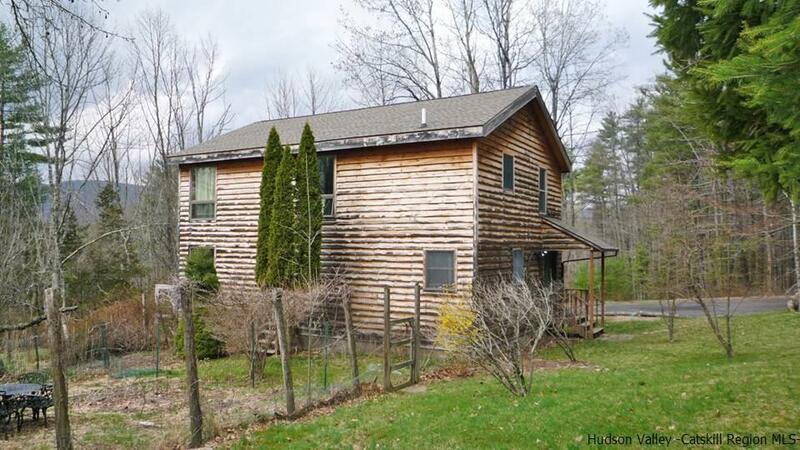 Looking for your very own Hudson Valley home? This three bedroom home and artists studio with a barn/loft vibe is the perfect combination of charm and sophistication. The spacious two story cedar sided home is located on a landscaped acre with a sweet pond, tucked back off a sleepy country road. There are views through the forest that are enhanced in the winter months. The open plan living area encompasses a modern kitchen, dining and living area with exposed beams and hardwood floors, and a ground floor master suite. Wide stairs lead to a vaulted second floor living area, previously used as an artist's studio. Another large bedroom and bathroom are on this floor, as well as a smaller room currently set up with bunk beds. The two separate entrances are convenient for the current, successful vacation rental usage, or for a home office or studio. The grounds are perfect for gardening or recreation, with a fenced area and mature landscaping. Located in the low tax town of Olive, close to Phoenicia and Woodstock, and the restaurants, shopping, hiking, fishing and winter sports that make the Hudson Valley a premier destination.